Words have power. The Scripture says that life and death are in the power of the tongue (Proverbs 18:21). Think about it – a person can use words to bless their children and also to slander a neighbor. A person can use their words to praise God, and but then tear other people down a few hours later. Words have power, so it’s important to use words in a way that is honoring and glorifying to God! This is where the use of blessing words comes in! Let’s take a look at how we, as God’s children, can use words to bless. We can bless other people in several ways with your words. These include giving comfort to people who are mourning, sharing gentle words for people who are struggling (encouragement), and offering words of peace. We can say words of blessing when we see another person face to face, or we can do it through prayer, by asking God to bless others using inspirational Bible quotes. God blessing words protects us. Use these inspirational Bible verses to remind blessing of protection promised to those who goes the right way which was shown by Jesus. “So do not fear, for I am with you; do not be dismayed, for I am your God. I will strengthen you and help you; I will uphold you with my righteous right hand.” (Isaiah 41:10). “And said, “I swear by myself, declares the LORD, that because you have done this and have not withheld your son, your only son, I will surely bless you and make your descendants as numerous as the stars in the sky and as the sand on the seashore. Your descendants will take possession of the cities of their enemies.” (Genesis 22:16-17). “Blessed is the one who does not walk in step with the wicked or stand in the way that sinners take or sit in the company of mockers, but whose delight is in the law of the LORD, and who meditates on his law day and night. That person is like a tree planted by streams of water, which yields its fruit in season and whose leaf does not wither— whatever they do prospers.” (Psalm 1:1-3). Blessing words in times of mourning? Yes. When people are hurting they need to hear words of comfort, but it is hard to know what the right thing to say is. Sometimes the simplest words are the best. “I am sorry for your loss.” “Please call me if I can do anything for you.” “Do you need anything?”. Dear Lord your Scripture says that You are “close to the brokenhearted” and that You save “those who are crushed in spirit” (Psalm 34:18). When You walk the earth you experience the loss of dear friends like Lazarus and You Yourself suffered. I ask that You will draw my friend close to You. Please bring Comfort to my friend because she experiencing loss right now. Thank-You that You will bring her comfort. We all have our struggles and are weak in some area. We have all sinned and need God’s grace (Romans 3:23). Living in a community of believers, and we rely on one another. When a fellow Christian is struggling, what is the best way to respond? Jesus responded to people who came to Him with compassion and words of comfort. Think of His response to the ten lepers who needed healing (Like 17:11-19) and His response to the woman at the well (John 4). A way to be a blessing is to use the same care, compassion, and empathy in situations where people need help. Dear Lord right now my friend is struggling to make ends meet and is fearful about not being able to pay her bills. God, I ask that You will bring the financial resources that she need. Please let her trust be in You as she relies on you and let her confidence be in You. What are some blessing words you can say to a person who is struggling? This is a tough one! 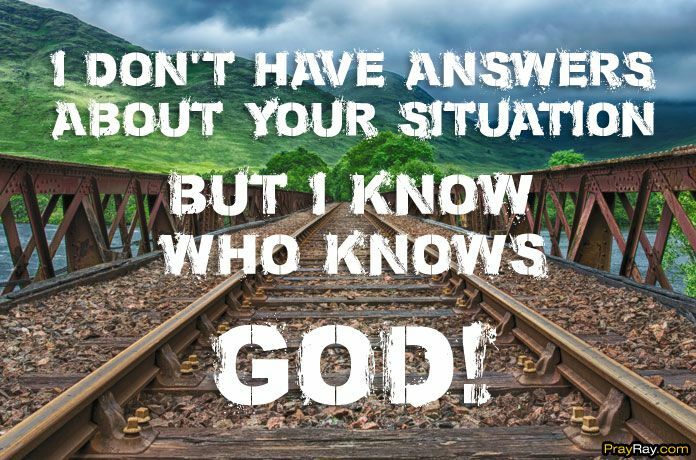 A suggestion is: “I don’t have answers about your situation but I do know who God is. I know that God is love and that he cares for us.” The world can be a hard place but words can make those rough times more bearable. Peace was a gift that Jesus left with His disciples, and it is something we can offer to others also by using blessing words. The peace that Jesus left us is the security of knowing that He is in control (Isaiah 41:10). He is sovereign, meaning He works all things together for our good (Romans 8:28). We can offer one another blessing words by speaking the truth in love (Ephesians 4:15). The way that we can use words to lend peace in troubled times is respond to anger with gentleness: “A gentle answer turns away wrath, but a hard word stirs up anger” (Proverbs 15:1). Dear Lord, the situation we are in right now is very tense and frustrating. I want to use my words to bring peace. Please give me wisdom in the words I speak. Please calm the hearts of the people here. Use this situation to teach us and strengthen us! Amen. Growing in our Christian lives means growing in holiness, this includes using our words to bless others (Ephesians 4:29). Like all things, this is a process. The good news is that the Holy Spirit is there to gently guide us along the way. When you feel the Spirit nudging you to speak a word to someone, be obedient and approach them. If you feel the conviction that something you said was unsuitable, own up to it. Our words flow from our hearts, so let your heart be full of blessings instead of negativity. Spend time in the Scripture. Praise God by thanking Him for what He’s done and who He is! Those are the things that will fill your heart so it overflows with kindness, goodness, and compassion. Do Everything to His glory! The words we say have the power to change lives! Proverbs 15:4 says “The soothing tongue is a tree of life…”. The world needs kindness and blessing, so take this opportunity to share God’s love by speaking blessings in your own words or using inspirational God bless Bible quotes. Also read: GOD BLESS YOU!